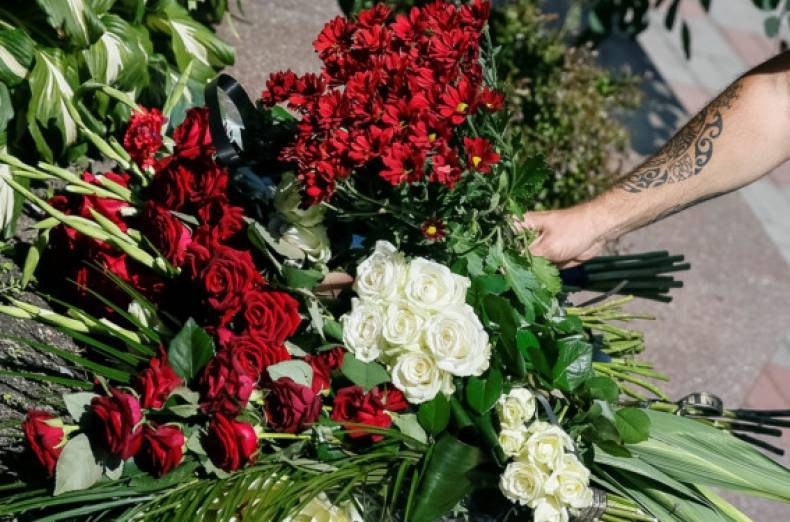 A man places flowers to pay tribute to the victims of the Bastille Day truck attack in Nice, in front of the French embassy in Kiev, Ukraine. 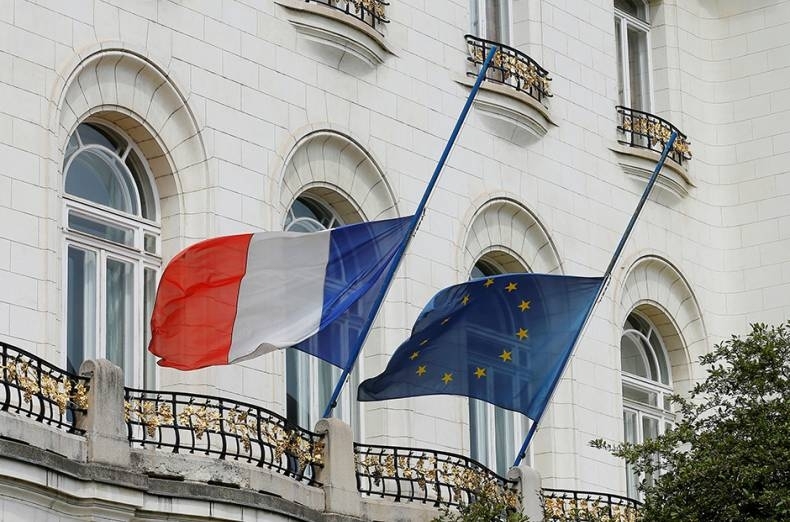 A French and European Union flags fly at half-mast in memory of the Bastille Day truck attack in Nice, at the French embassy in Vienna, Austria. 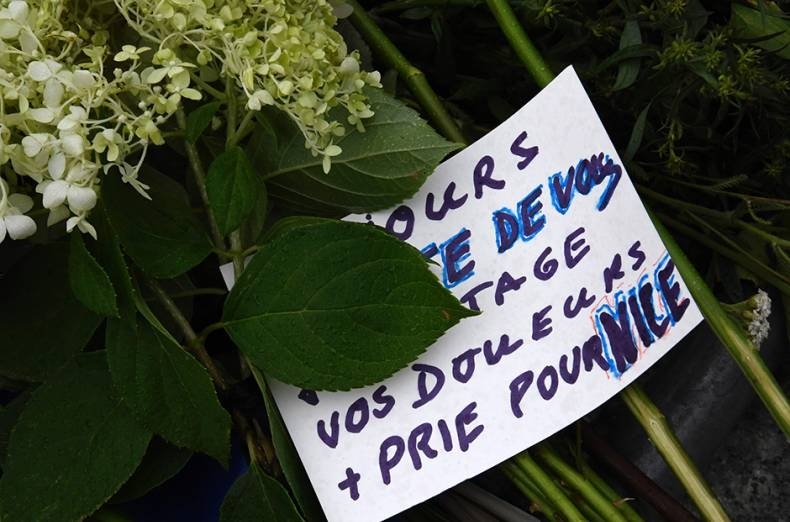 Flowers and a paper reading ‘Pray for Nice’ are placed in front of the French Embassy in Berlin. 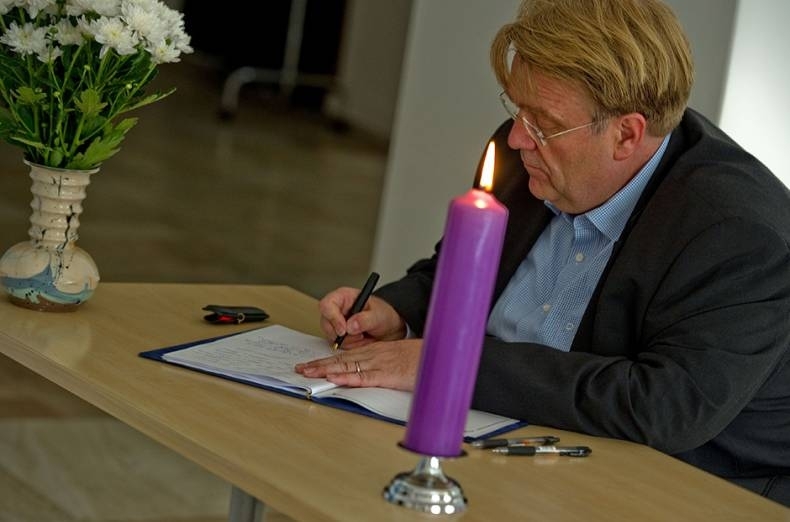 A man writes into a condolence book at the French embassy in Bratislava to commemorate the victims of the deadly attacks in Nice. 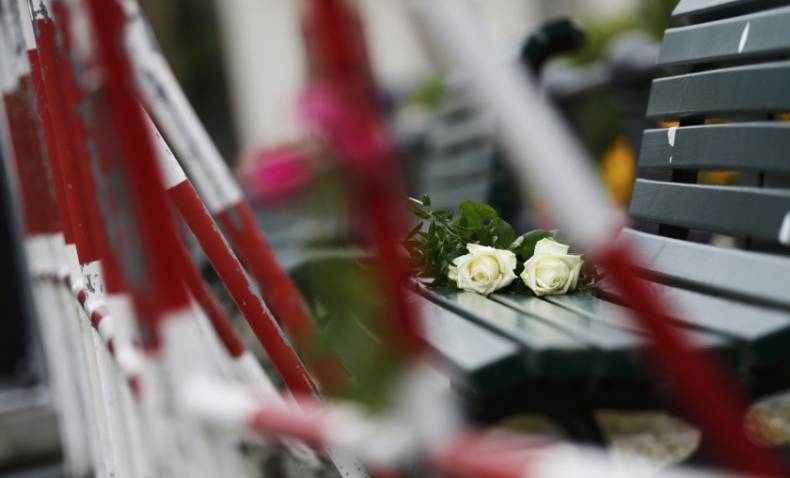 White roses lie in front of the French embassy in Berlin, Germany. 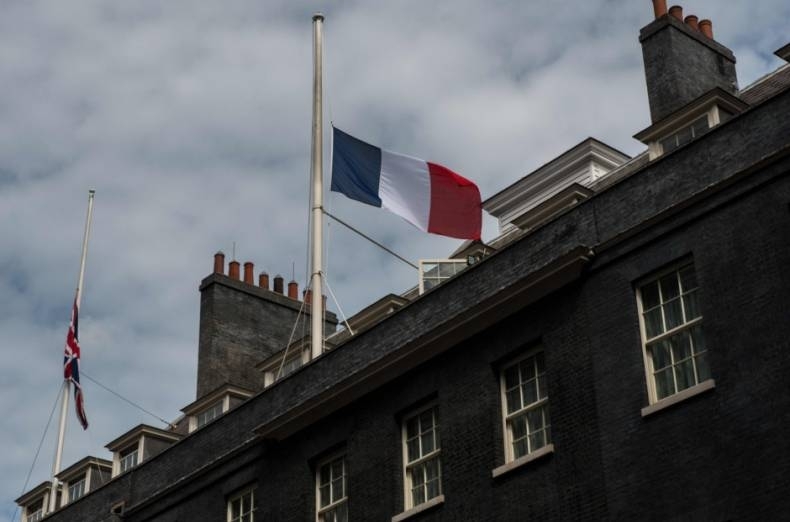 A French tricolour flag flies at half mast next to the Union flag over Downing Street in central London in honour and solidarity with the victims of the deadly attack in the southern French city of Nice. 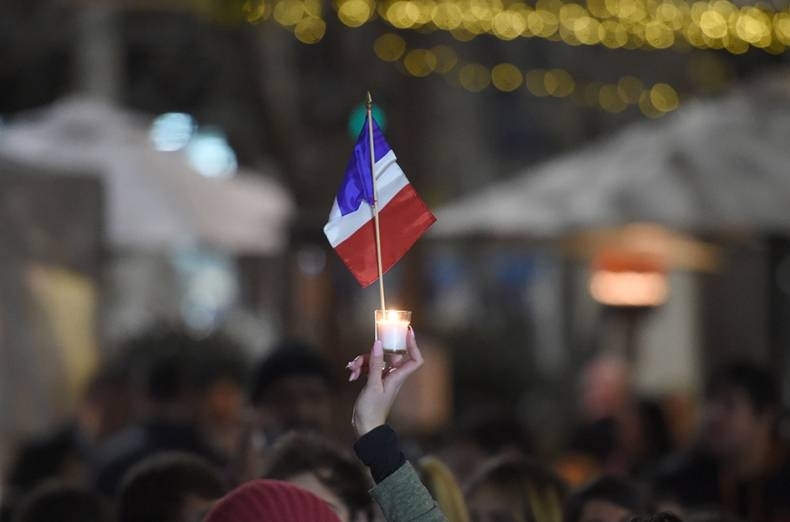 A member of the French community holds up a candle and a national flag during a vigil in Sydney.